As an e-commerce retailer, you have probably spent many hours perfecting your products, on top of working to create a seamless yet aesthetically pleasing website. That means gathering high-res images of all your items, giving the items detailed description and utilizing fonts, colors, and a web design that appeals to your customers. Not to mention, working on your personable approach to social media, making sure your contact information works, and that you provide the right customer service to any customer who has an issue or question. In short, you make sure your site is always running as smoothly as possible. As an e-commerce retailer, why do you do all this? To make (and keep!) sales, of course. There are many ways to help boost your sales and create a successful online retailer. In fact, there are many tips and techniques available, that will show you all the latest trends and proven ways your page can reach and retain customers. It’s no secret that shopping cart abandonment is a large problem in the e-commerce world. So, retailers try to simplify the checkout process as much as possible. This means making sure the customers experience the least amount of clicks possible from the time they add items to their carts to the time they make their payment. Another technique to boost your sales is offering clear shipping prices before a customer gets to the last click. While all those will help retain and attract customers—and you should definitely do the above if you don’t already—there is something else that many online retailers may forget about. You might be wondering what makes shipping so important? Today’s consumer is used to the instant gratification that social media and today’s technology-driven world provide. And, yes, that applies to shipping, too. While it puts a load of pressure on online retailers, especially those that are small businesses, customers expect to receive their shipments just as fast as they made their purchase. While it’s nearly impossible for a business to send off a customer’s order in just a few clicks, if they wait too long, the customer will be less likely to return for another purchase. No matter if you are a huge retailer or a two-person operation, shipping will make or break the shopping experience for a customer. There’s just no way around it. 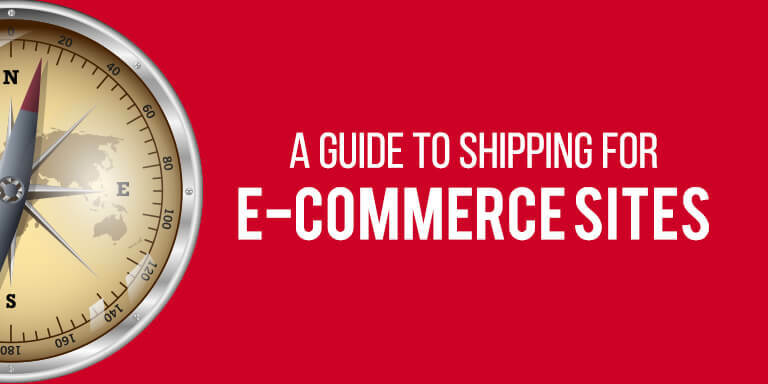 So, it’s vital for your e-commerce business, whether old or new, big or small, to operate an efficient shipping process. To keep your customers happy, and to create a loyal base of customers, you have to take into consideration all the factors that affect shipping and make your decisions accordingly. Here are three additionally components that shouldn’t be left out. Although creating a return policy that includes free shipping costs more in the beginning, it’s worth the investment. Since the customer cannot hold, test, or try on items online, they want something that they can return, if need be. Obviously, you want the least amount of returns as possible, but, when you show you care about your customers (such as offering free shipping), they are more likely to stay loyal. When a package leaves your headquarters, it goes on quite a journey until it reaches the end destination. Even though once you ship the package, it’s out of your hands (literally), if something goes wrong a customer will turn to you. The last thing you need as an e-commerce retailer is a bad review or negative customer experience. Luckily, thanks to today’s technology, you and the customer can track the entire journey the package makes, once shipped. With multiple check-ins, scanning, and tracking, the customer knows exactly where his/her package is and when it will arrive, which is vital. Be sure to send out tracking numbers immediately after shipping the customer’s order. Plus, if a customer is unhappy with the final product due to damage, you are able to see all the checkpoints it went through in hopes to narrow down where something went wrong. This is super important for online stores. You want to make sure all your policies are clearly stated on your site. If there is a certain item that may not be returnable for a certain reason, make sure that is visibly noted, and the customer understands. Likewise for return shipping. Make sure to include an email or packing slip that specifically states all the policies on returns. Also, clearly make sure that the estimated shipping time is noted. If you have more than one shipping option, such as standard and expedited, make sure that is easily visible to the customer during checkout.